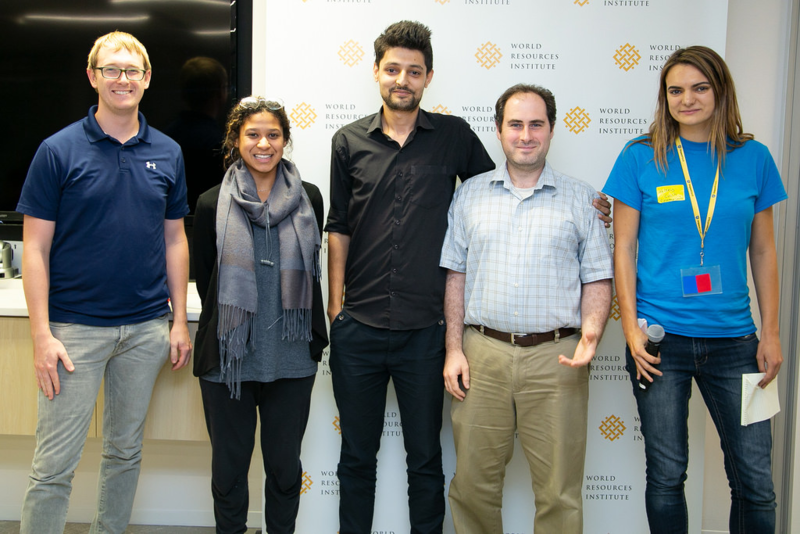 The United States Diplomacy Center and World Resources Institute hosted ImpactHack, a data visualization hackathon in Washington, D.C. Sixteen teams competed to demonstrate diplomacy’s impact, from state economies to global issues, using their coding and design skills. Amazon Web Services (AWS) sponsored the event, donating the time of several solutions architects, technology, credits, and expertise in managing the hackathon. Over the course of over a single Saturday, these teams developed their submissions. Projects from the hackathon will be used to develop Diplomacy Center exhibit prototypes. Congrats to the three winners! My State, My State Department: The winning project was My State, My State Department, an interactive map and game that connects the work of American diplomacy with its impact on local communities across the U.S. The team used a map of the U.S. to allow users to explore the benefits of real diplomatic negotiations to regional U.S. interests, and to test their own skills in diplomacy. The project allowed users to tweet their results. Data Ambassadors: The second place project, Data Ambassadors, showed America’s diplomatic growth over time through an interactive map. The map included historical context and a clickable timeline spanning from the birth of the United States to the present day. Global Movement: The third place project, Global Movement, addressed the factors that relate to refugee rates, including a country’s relative freedom. This high school team drove down from New Jersey to participate in the hackathon after winning a travel sponsorship for their diplomatic relationship simulator in another hackathon in May.